Mystery fish identified! 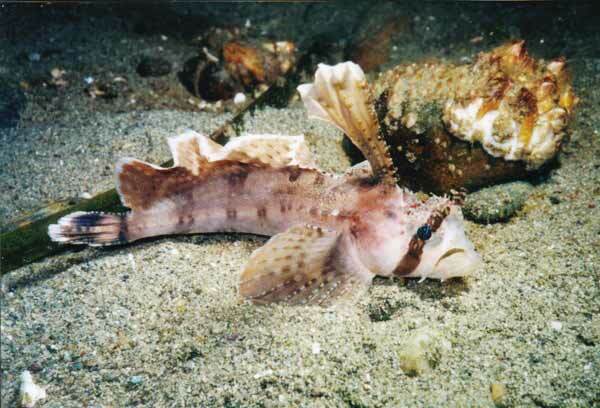 We sent the photos to Teri King, with the Washington Sea Grant Program, and she said that it looks like a mangled sailfin sculpin. Apparently he didn't really like his ride on the oyster barge. We put the sculpin back into the Canal and hoped for the best. Several people have asked how big the mystery fish was, as it's hard to get a sense of scale from the photos in the previous post. The answer is: small. About 3 to 4 inches. And if you look very closely at the first photo below, you'll see a fir needle floating in the water. That will give you a sense of scale, provided you're familiar with fir needles.